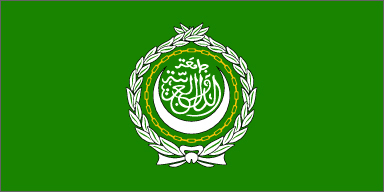 "The League of Arab States was established on March 22, 1945 upon signature of its Pact by seven Arab States. The League is a national and regional organization that seeks to promote closer ties among member-states and coordinate their policies and their economic, cultural and security plans with a view to developing collective cooperation, protecting national security and maintaining the independence and sovereignty of member-states; thereby enhancing the potential for joint Arab action in all fields. In the political field, the League is entrusted with the tasks of defending the supreme interests and national causes of the Arab world through the implementation of joint action plans at both regional and international levels as well as through the coordination of the relations of member-states with regional and international organizations. The League is also entrusted with the task of examining whichever disputes that may arise between member-states and to adopt whichever resolutions and measures as may be deemed necessary to settle such disputes by peaceful means. Economic, social and cultural activities constitute principal and vital elements of joint action in addition to the fact that they provide solid grounds for development, security, liberation and economic integration." "In early 1942, faced with the prospect of Germany conquering North Africa, including Egypt, Britain tried to sway popular Arab opinion toward the Allies by publicly favoring the idea of unity of the Arab world, extending from the Atlantic to the Persian Gulf. Having countered the German threat, soon after London acted behind the scenes to bring about a preliminary Arab conference in the Egyptian city of Alexandria in September-October 1944. It was attended by official representatives of Egypt, Iraq, Lebanon, North Yemen, Saudi Arabia, Syria, and Transjordan, as well as a Palestinian observer on behalf of Arab Palestinians. Their decision to form the League of Arab States -- a cooperative of independent Arab counties -- was ratified on 22 March 1945 in Cairo."